The following are some simple and clear things that can be done to make your phone script more powerful. 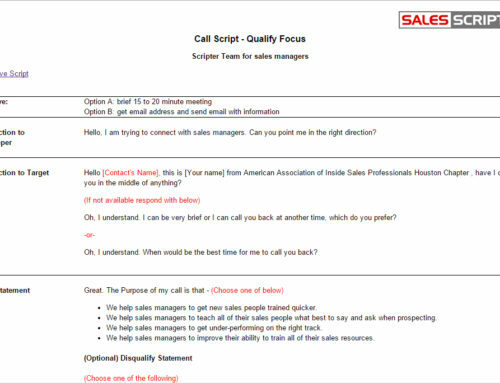 Include language which confirms that the prospect is available to speak with you for at least a couple of minutes at the beginning of your sales script. When you confirm that the prospect is available, it positions you for a better sales call as well as helps you to make a step forward with building rapport. Assuming the prospect is busy when you’re calling them is normal and probably true. At this point, identify whether they’re a normal busy or if they’re crazy busy. Examples of crazy busy would be they’re in the middle of a meeting, fighting a fire, on the other line, etc. In this case, it’s most likely not going to be a good time for you to attempt to progress forward through your phone scripts. 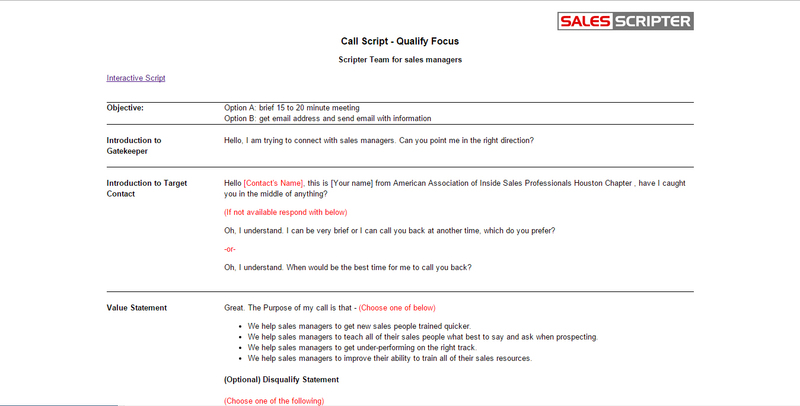 Commonly, sales people spend most of their time speaking with prospects about their products and services which causes them to leave out important details regarding how those products and services help their clients. Essentially, those details are the value that we’re offering and developing our phone script to talk more about our value than our products will lead to much more powerful impressions and conversations. One of the most valuable resources you have is your time. 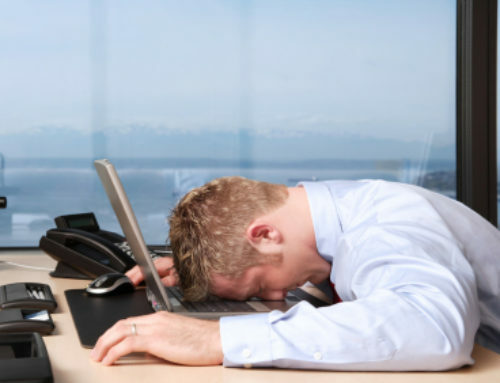 It is unfortunate that you cannot buy more time or add more hours to the day. 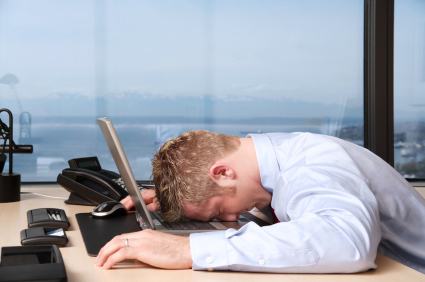 Due to this, it is important to decrease the time spent with prospects which have a low probability of buying. You can accomplish this by asking qualifying questions in your phone script. By asking qualifying questions, you are helping to make your cold calls more engaging by getting prospects talking more in lieu of having a complete one-way conversation where the sales person is doing all of the speaking. Also, this helps to decrease the prospect’s guard by making them feel ensuring that they’re a fit before trying to sell to them. Find out the challenges the prospect is experiencing to improve your results. 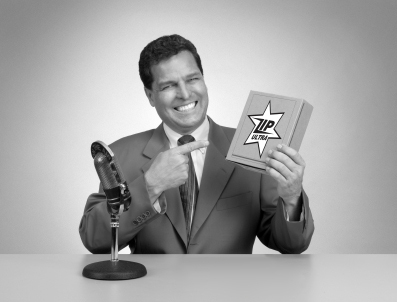 Sharing some common challenges or pain examples that other clients or prospects have experienced or are experiencing is one way to do that. After sharing some examples, check in to see if the prospect can relate or may have some of the same challenges. By name dropping and sharing stories from your existing and past clients in your phone script, you can help build interest and credibility with your prospect. Be sure to include details which explain how you helped them. The more quantifiable you are, the more powerful your phone scripts are. 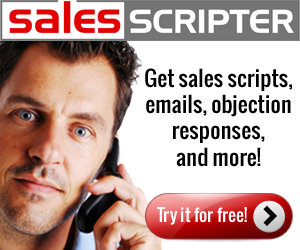 SalesScripter provides a sales script tool to help sales pros write a phone script.